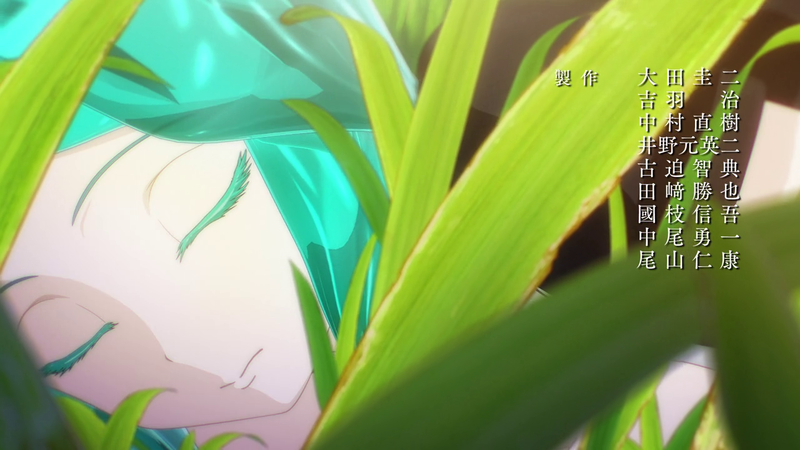 In the first episode of Land of the Lustrous, Phosphophyllite is tasked with creating an encyclopedia for the gems. It becomes the catalyst for their transformation.. The purpose of the encyclopedia from a narrative perspective is to give Phos a push forward, and also to show how what they want to do (fight like the other gems) is at odds with what comes to them naturally due to their brittle 3.5 Mohs hardness. The encyclopedia leads Phos to Cinnabar, which in turn leads them to another self-assigned task of finding Cinnabar a new job. As soon as Phos begins to transform, the encyclopedia is all but forgotten. However, the gems could really use an encyclopedia. The opening moments of Land of the Lustrous feature an isolated Cinnabar huddled on a rocky outcropping. After a moment, they begrudgingly say that it’s time for work. Cut to the daytime, where Cinnabar is nowhere to be seen, but a group of gems runs across a field before one of them, Morganite, stops and calls out for Phosphophyllite. Their leader, Master Kongou, is looking for Phos. Whimsical music feeds into our natural curiosity about this world. After Phos and Morganite banter back and forth a bit, Morganite is off to fight the Lunarians with their team and Phos goes to Master Kongou. The entire sequence gives us brief, distilled splashes of each gem’s personality. Cinnabar is sequestered and lonely. Phos is capricious and immature. Morganite is confident and decisive. Jade, who Phos passes en route to Master Kongou, acts like an amused older sibling. In Episode 12, this sequence is revisited — the same musical cues, the same sweeping camera pans, the same players take the stage. Phos’ transformation takes most of the spotlight. It’s easy to see how much has changed for Phos throughout the series. Land of the Lustrous diligently follows every step of Phos’ physical and emotional metamorphosis. Yet, the series isn’t only about Phos. 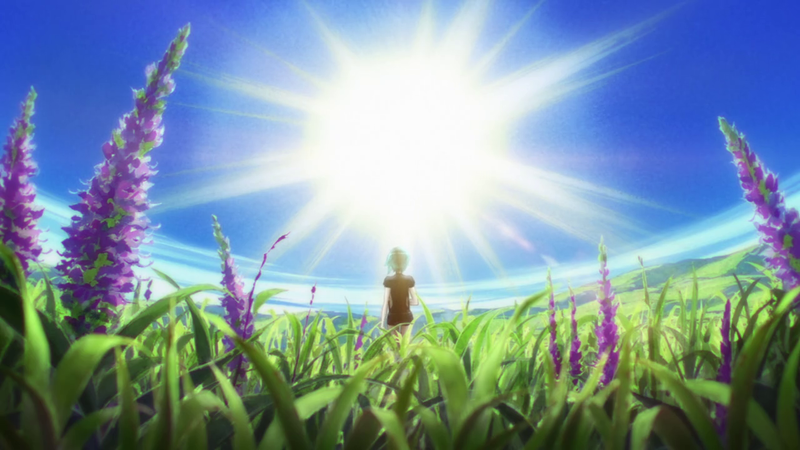 Pulling the camera back a bit reveals all of the gems in Phos’ periphery, all transformed by events in the series. Of all gems, Diamond (Dia) is the most visibly treasured by their peers. This is thanks, in large part, to Dia’s beauty, but Dia also has a sincere, genuinely nice personality that’s difficult to defy. Even when the most irreverent of all the gems, Phosphophyllite (Phos), jokes that Dia is too blinding, this is later followed up with a statement that Dia doesn’t have to change, their kindness is enough. 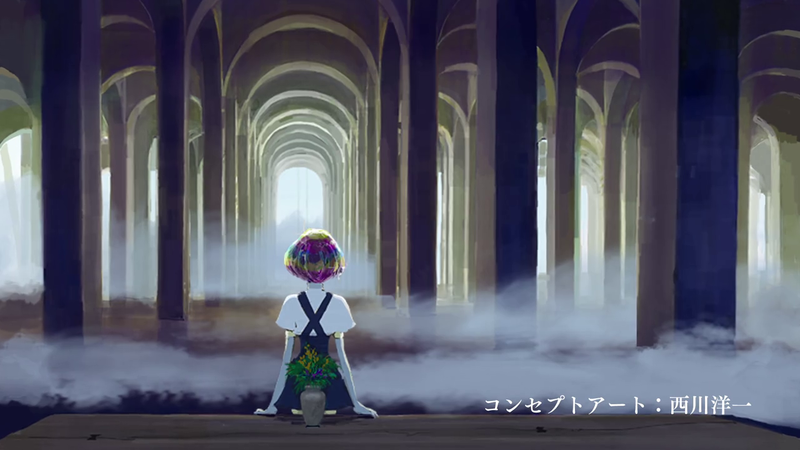 By examining the daily life of humanoid gems, Land of the Lustrous muses on the meaning of a life, survival, living, and purpose. No individual story is as heartbreaking or as complete as Dia’s journey by series end, giving ample fodder for discussion. The world of the Lustrous is beautiful and sparse. Located on an island that resembles a curved paintbrush smear, the Lustrous were the only beings suited for such an inhospitable environment, or so their creation story says. Their only requirement is sunlight. 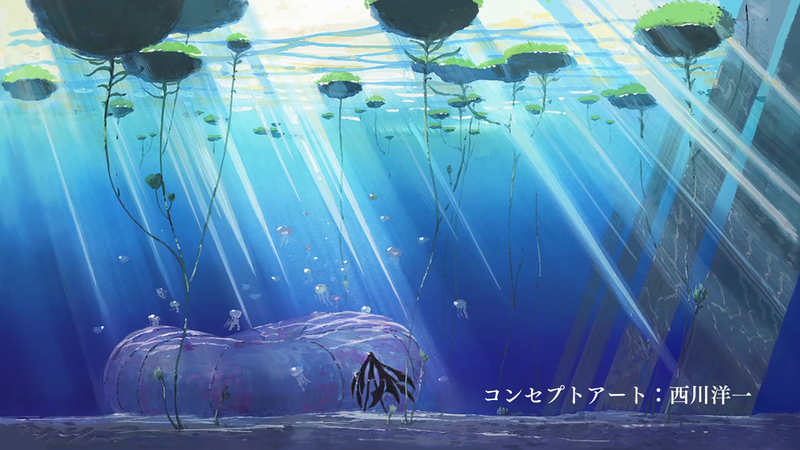 With so few living things in their world, Land of the Lustrous gives strong billing to what little flora and fauna still exist. Nearly all of them are used as visual storytelling aids, the most obvious being the butterflies that pop up at different moments during lead gem Phosphophyllite’s (Phos) transformation. The trees in their world are dead, but flowers are peppered throughout the series’ landscape similar to Phos’ butterflies, adding further depth to the gems’ plight.